Hello! My name is Aimie and I live with my Husband, teenage son and daughter, Amelia, in Northamptonshire, England. I am the face behind Little Sugar Plums. I taught myself how to sew back in 2010 when Amelia was a baby. She had a real thing for ribbons and the tags on blankets and teddies, rather than the teddy itself; so, I decided to make a dolly with ribbon hair for her; just like Lucy, the ragdoll my Mum made for me when I was a toddler. Amelia fell in love with her and it got me thinking that maybe I could make them for other children; something original and unique that cannot be found in an average toy shop. In 2012, after trying out various dolls patterns available on the market, I couldn't find one I was happy with, so I set about designing my own. At the time I was working in childcare, so I understood what children liked and how important dolls are in the early years, so I designed my dress-up dolls specifically with children in mind and I ended up with a pattern I loved. The doll stood 15" tall and her arms and legs were just the right size for children to hold. She had a soft body which was perfectly proportioned for cuddling. Little Sugar Plums was born! I set about testing them to meet CE standards, which was a lengthy process, but a path I'm glad I took, as it meant that I knew that they were 100% safe and I could sell dolls so that other children could enjoy them too. Over the years, my dolls have been adapted slightly. I now do a range of sizes for babies and children. They are still made from 100% designer cottons, but I now use 100% merino wool felt for their hair and accessories which doesn't bobble, so your dolly will stand the test of time. I have also developed a range of dolls clothing which have child-friendly fastenings making it easy for little girls and boys to dress and undress. In 2014 I introduced a new plush hair option which has wonderful comforting properties. I am inspired hugely by my children, fairy tales, childhood memories and beautiful fabrics. 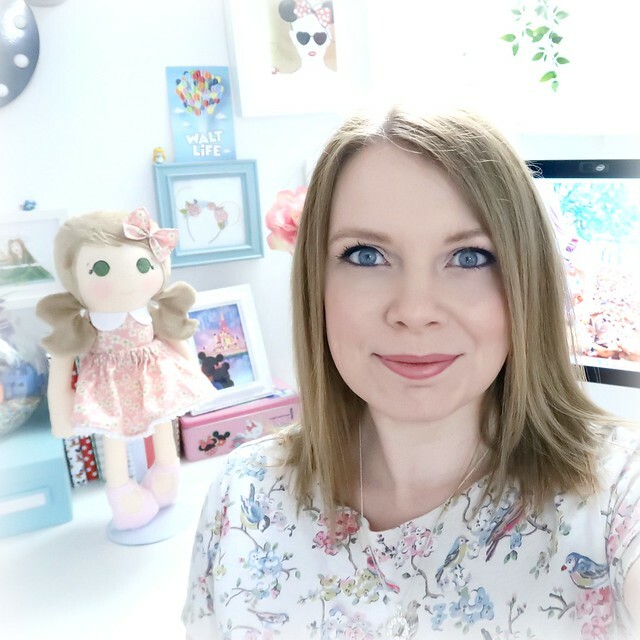 My dolls take on average 4-5 hours to make (sometimes much longer) and I use only the best, high quality materials and fabrics from my favourite designers. I have shipped my products worldwide, as far as Spain, Kuwait, the USA and Australia and have even commissioned handmade dolls for several famous personalities and brands! When I am not sewing dolls, I like to spend time with my family, drink tea (this also happens a lot when I am sewing!) and bake cakes. I collect Emma Bridgewater pottery and love a good afternoon tea. I also love photography, writing and Disney holiday planning. We usually have a Disney trip in the planning stages! I also like video editing and I have a YouTube channel where I vlog my family's Disney trips as an aside to my travel writing. So that's me in a nutshell! I do hope you have enjoyed looking through the dolls on my Facebook page, and if there is anything I can help you with, please do not hesitate to contact me.